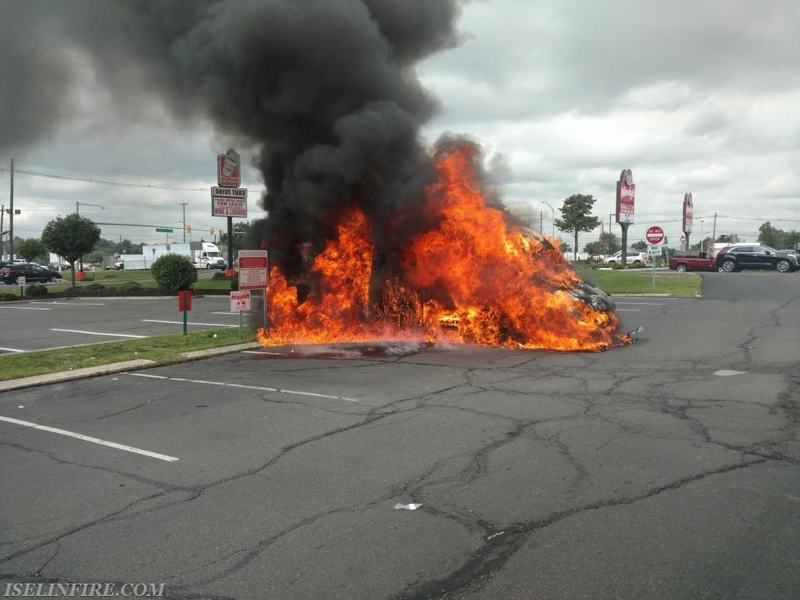 District 9 was dispatched to a truck fire at Route 1 and Green Street. Upon arrival, Deputy Chief Bennett reported a FedEx delivery van well involved. The crew from Squad 9-6 extinguished the fire along with a second hand line from Engine 9-2. Engine 11-1's crew stretched a hand line to protect a car and delivery truck that was being exposed to the fire. 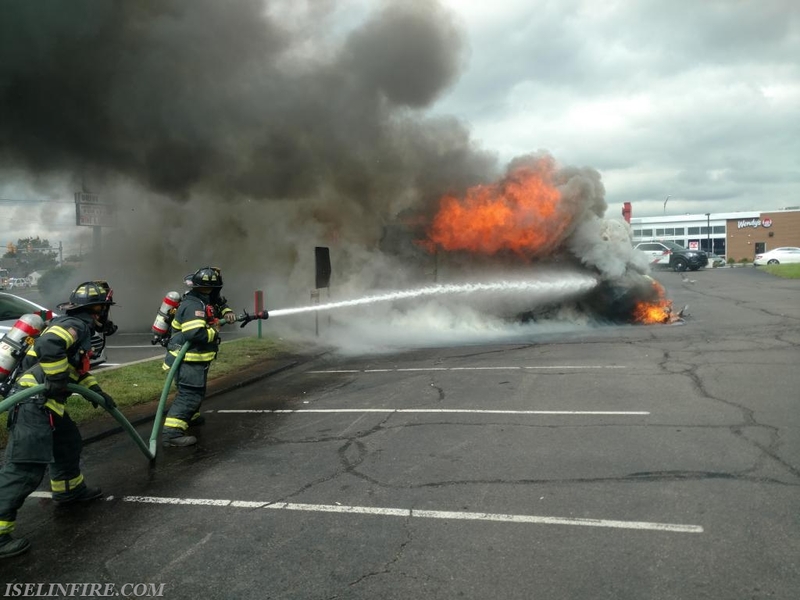 The van was well involved in fire upon the arrival of first due Squad 9-6.